A view of Stoney Cove. The natural beauty of one of the last stretches of open space along the Henderson Harbor shoreline will be forever preserved by a conservation easement with OBI Land Trust. Commonly known as the “Stoney Cove” property, it is west of Paradise Park and near White’s Bay. It includes more than 1700-feet of natural shoreline that is a habitat for a variety of bird and plant species and it is also very scenic, boasting a bluff, limestone cliffs and a natural cove. This ecological gem has been protected since November 2015. The land had been in the Stone family since the late 1960’s when Dr. Irwin K. Stone, a Watertown internist, joined with another local doctor to purchase 200 acres in order to halt plans by a Canadian limestone company to blast the limestone and ship it out. Years later, the property was divided up with Dr. Stone purchasing the shoreline portion. His children, Charles and Gale, became owners following their father’s death in 2008. Their mother, Wilfreda B. Stone, was also a strong supporter of the land being protected. 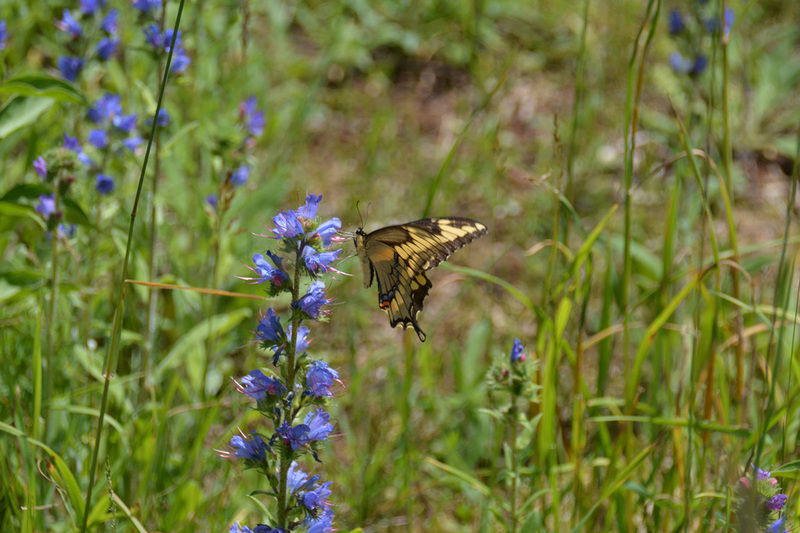 Swallowtail on viper's bugloss at Stoney Cove. “The idea was always to keep the property wild and undisturbed. The agreement with OBI is an opportunity to give a gift to the north country and keep the beauty that is there for years to come,” explained Charles Stone when the conservation easement was finalized. The land features a rocky beach as well as a protected cove that is a popular stopover for boaters and fisherman. The inland portion of the property is cedar forest mixed with small, open grassy areas that were once grazing pastures. 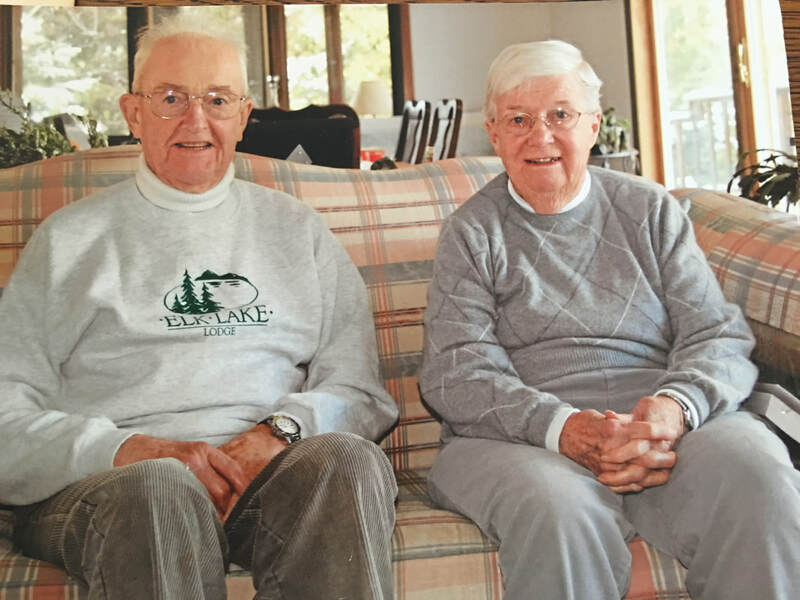 Pictured here at their home in Watertown, the late Irwin and Wildfreda Stone were very active in making a difference in their community and also had a critical role in protecting the natural beauty of a stretch of Henderson Harbor shoreline. The easement will allow for a management plan and thoughtful preservation of a place that is not only scenic but is also home to a variety of plant and animal species. 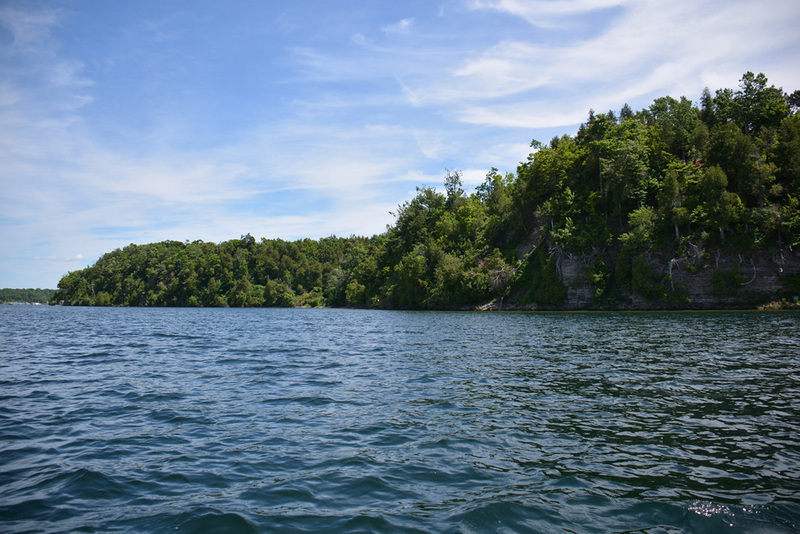 Stoney Cove provides a stopover habitat for migratory songbirds and other land birds and it offers an undisturbed shoreline where waterfowl, waterbirds and some shore birds can rest and feed. OBI Land Trust remains grateful for the many donations received in the memory of Wilfreda B. Stone during the summer of 2018, following her death at age 96.